Deco Table Lights - Period Floor Lighting – Beautiful Lighting Ideas for Your Home. 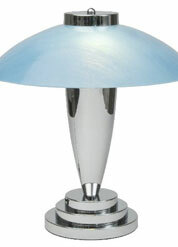 Please note on most of our lighting products other shapes, sizes, colours and finishes available. Please call us on 020 8482 2688 for details. One way to make your interior stand out is to choose beautiful period lighting, such as Art Deco table and floor lights, which are not only functional but decorative too. 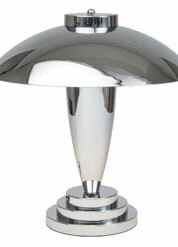 Sculptural in design, art deco table and floor lights are works of art in their own right and serve as focal points. 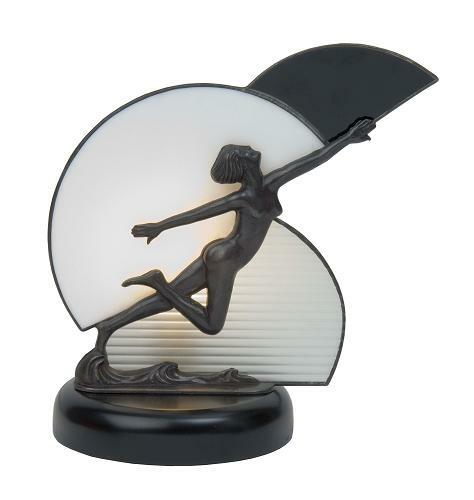 Placed on shelving, in an alcove, or on a side table of the hallway or living room, Art Deco lighting is to be admired, and they make great conversational pieces. 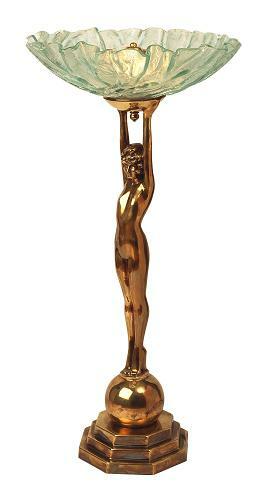 The Art Deco movement originated in Europe in the 1920s, and in its heyday (from the 1920s to 1940s) its distinctive style was prevalent in a whole range of designs from architecture to fashion, furniture and home decor (including artwork, wallpaper and lighting). 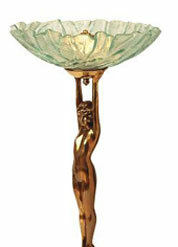 Art deco was glamorous, modern and eclectic, and inspired the imagination of artists the world over. Originally known as 'Style Moderne', the phrase 'Art Deco' wasn't coined until the 1960s, and its designs are characterised by bold colour, strong geometric shapes and luxurious embellishments. 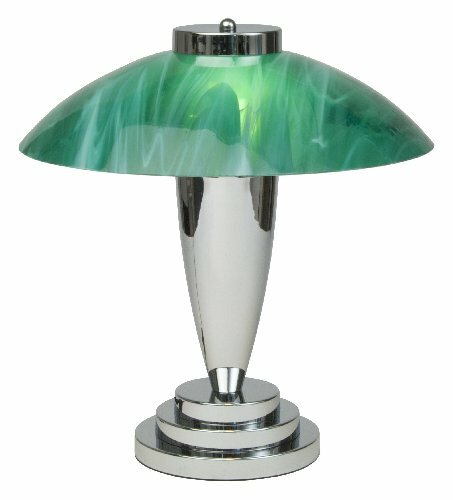 The Art Deco design style dropped in popularity from the mid-40s onwards, but is now undergoing a revival, and Art Deco lighting can be seen in homes in London, across the UK, and worldwide. 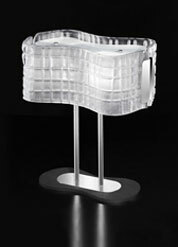 One of the main benefits of this design style is that it is suited to contemporary and traditional interiors. 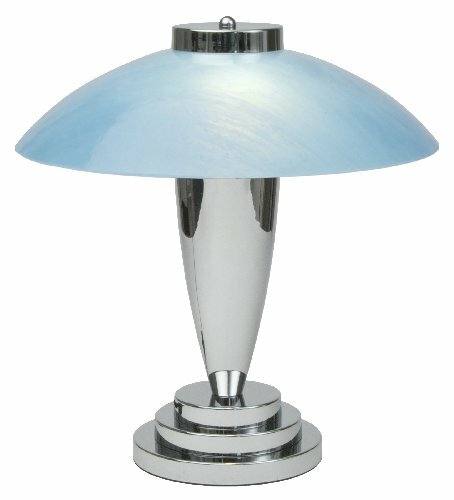 A pair of colourful Art Deco table lights with a striking geometric design, made from a contemporary combination of chrome and glass, is a perfect choice for a modern home. 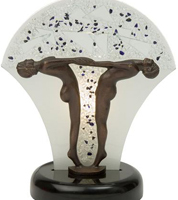 More lavish designs such as Tiffany style lighting, or Art Deco lighting with a stem in the shape of a female form, are an ideal choice for London homes with more traditional interiors. 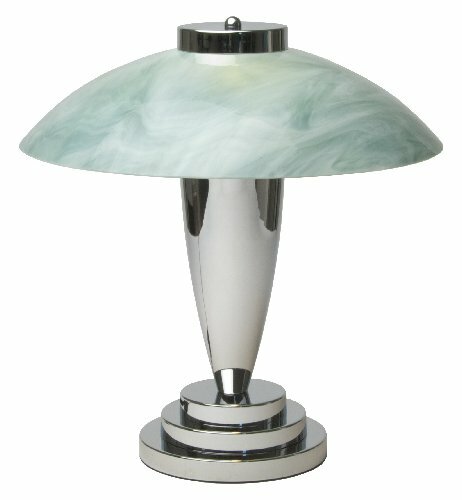 Art Deco Table and Floor Lights – click here to see our full range of designs and to see the location of our North London showroom. The Bohemian Look – If you are inspired by the beauty of Art Deco table lamps, you don’t have to give your interior a 1920s or 1930s theme. Instead, mixing and matching styles from a range of periods will produce a fascinating interior. The Bohemian home is the perfect choice for creative types who like to steer away from the norm and produce something that is eclectic and inspiring. 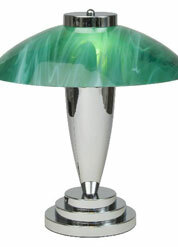 A sculptured Art Deco floor lamp that produces up-lighting will make a fantastic focal point in a Bohemian living room and emits a soft, cosy glow. Complete the look with elegant sofas and arm chairs, a hand-made coffee table inspired by your travels, an Eastern style rug and Oriental artwork. The Minimalist Home – This type of home is all about getting rid of clutter and having just your most attractive items on display. Simplicity is key; so choose furniture, ornaments and lighting with clean lines and strong geometric shapes. All-white leather sofas, black or white lacquered coffee tables, stripped solid wood flooring and bold artwork are all good choices for the minimalist home. Choosing the right lighting is an essential in a minimalist home; if you have a stark white living room, for example, it can add warmth and colour to this style of interior. 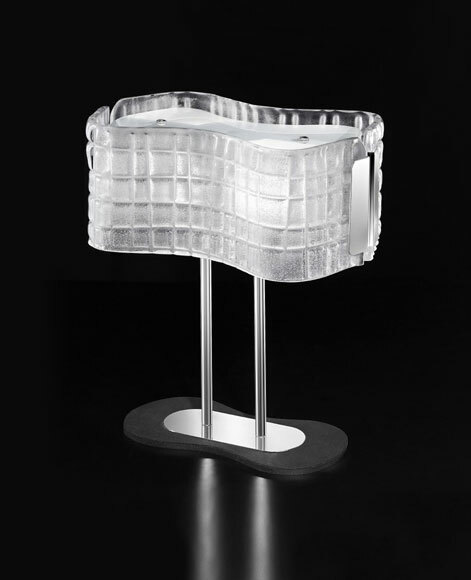 Art deco lighting with clear glass shades in a bold design is a great choice for a minimalist home and will make a stunning feature on a side table. The Traditional Interior – Art deco lighting works extremely well with a traditional interior, or a property with period features, such as an old-style fireplace or wooden panelling. 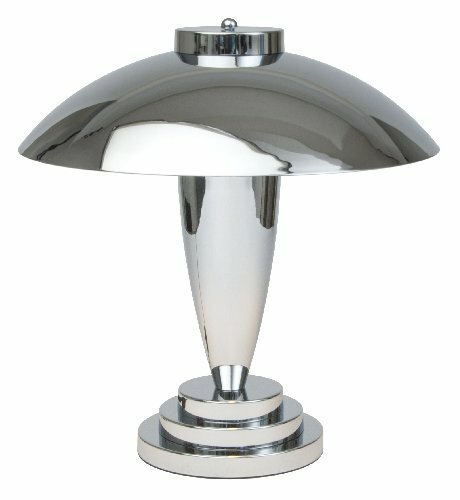 Art Deco table and floor lights will make elegant additions to a traditional London home or office, and are suitable for any room, from the boardroom to dining areas, sitting rooms, and generously-proportioned bathrooms or washrooms. Use Art Deco floor lighting in the corner of the living room, or sculptural-style table lighting to add warmth and interest to an alcove, or place a pair of matching Art Deco table lamps in the hallway or dining room. 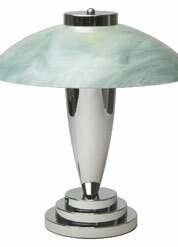 Art Deco table lights and floor lights add beauty and colour and create impact in a traditional home. 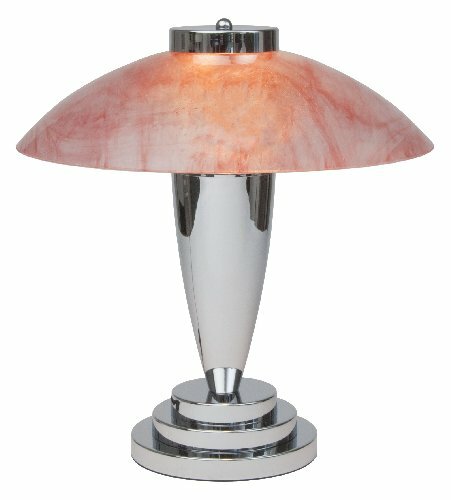 Angelo's Lighting sells a wide variety of period lighting, including Art Deco floor lighting and table lamps, from our North London showroom. 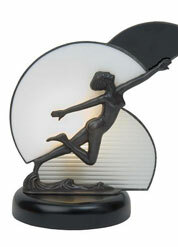 Art Deco Lighting just click here to see just some of our designs, or visit us to see our full and extensive range of traditional lighting including Art Deco wall and ceiling lights.